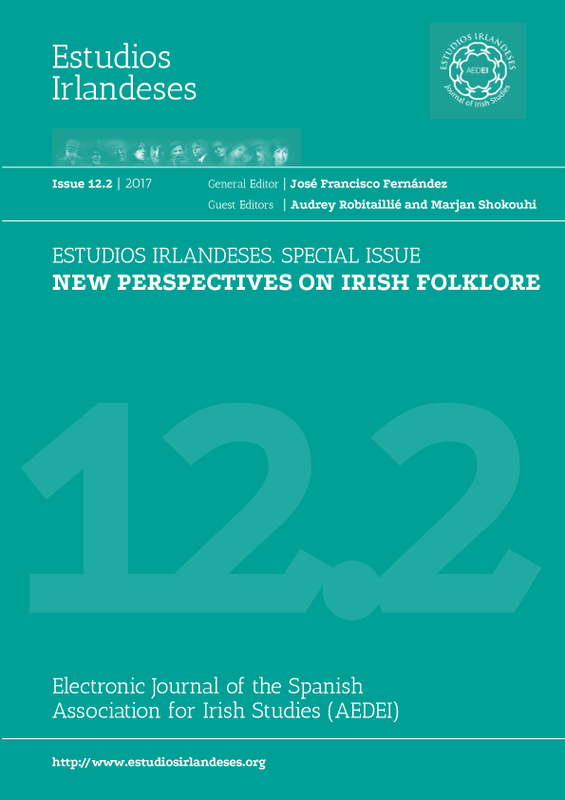 We are pleased to announce the publication of a special issue of Estudios Irlandeses (12.2; 2017), the first monograph, in this case devoted to “New Perspectives on Irish Folklore”, edited by Audrey Robitaillié y Marjan Shokouhi. With the publication of this special edition we wish to highlight the relevance of tradition in Irish Studies and, as the editors write in their introduction, we want to stress that “Folklore is a living, multi-faceted process that has as many shapes and forms as there are individuals who engage with it”. We hope that all the members of AEDEI enjoy the papers presented in this special issue and we would welcome your feedback on the journal.